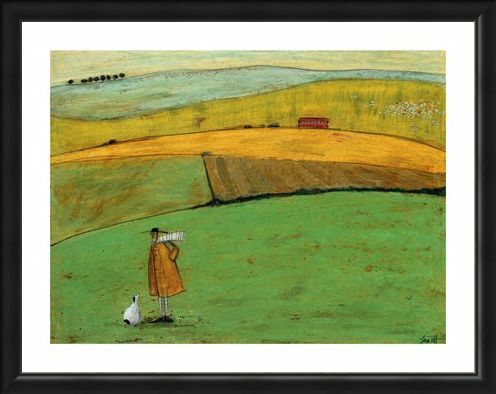 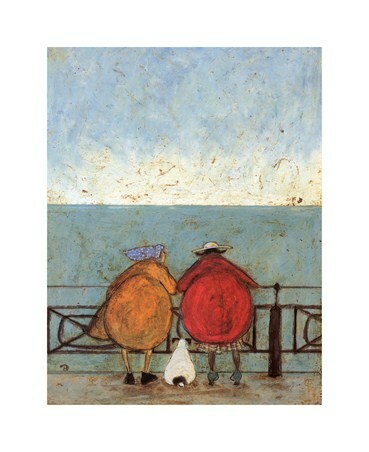 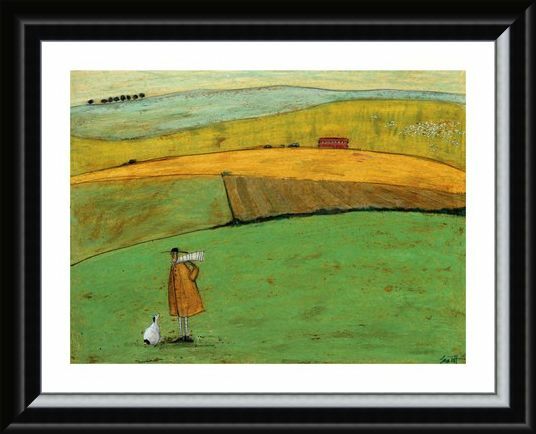 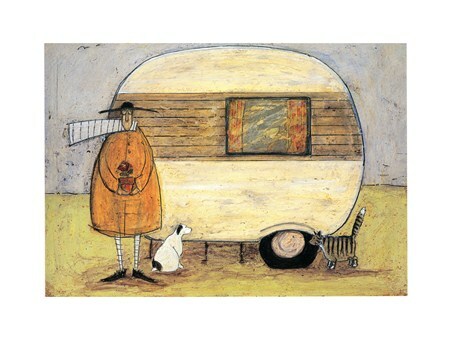 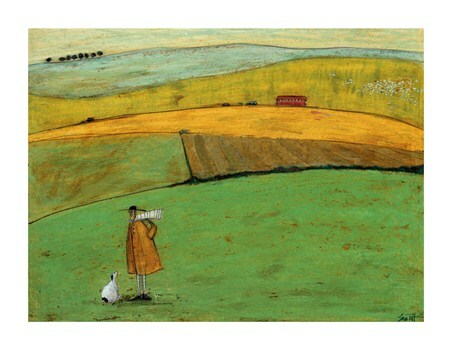 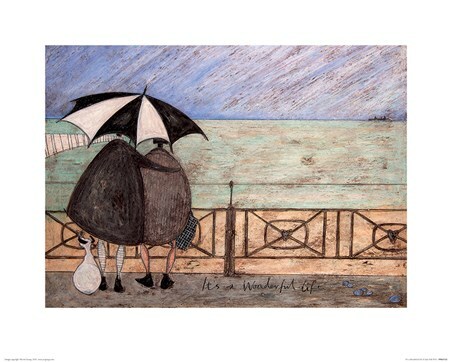 Art Print: British artist Sam Toft is known for creating a very collectable series of 'Mr Mustard' illustrations featuring Ernest Mustard, his wife Violet and faithful canine companion, Doris. 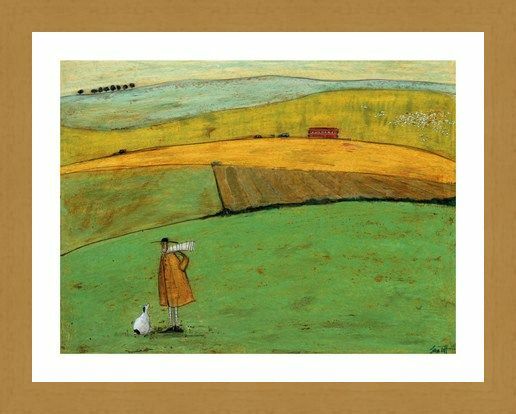 Poor Doris is slightly overweight and is pictured here out for a particularly long walk in the fields. 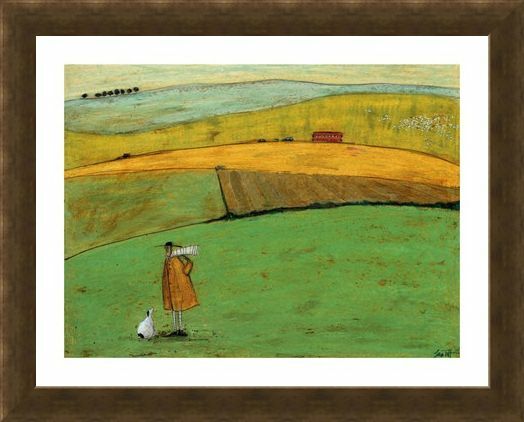 As a double decker bus drives past in the distance, Doris stares longingly at it as she envisages her long walk back home with her owner Mr Mustard. A wonderful art print of a picture titled 'Doris Wants to Take the Bus' which would bring some lighthearted charm to any room. 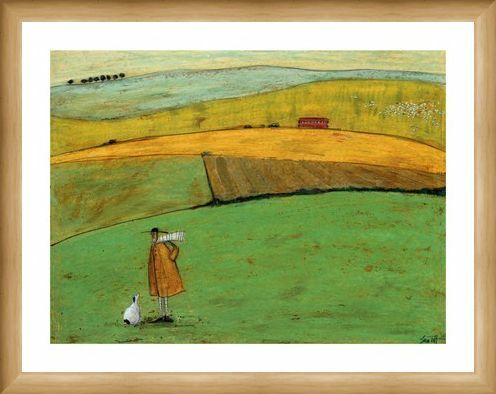 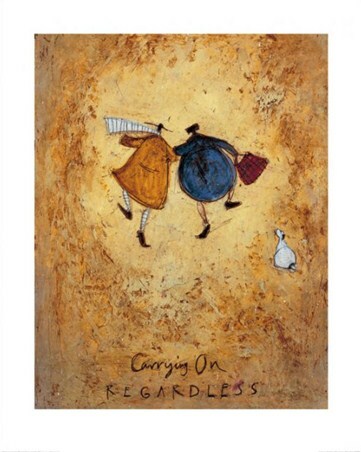 High quality, framed Doris Wants to Take the Bus, Sam Toft print with a bespoke frame by our custom framing service.